I missed out on the pre-order window for the Nintendo Switch. I managed to snag Zelda, but not the actual system. 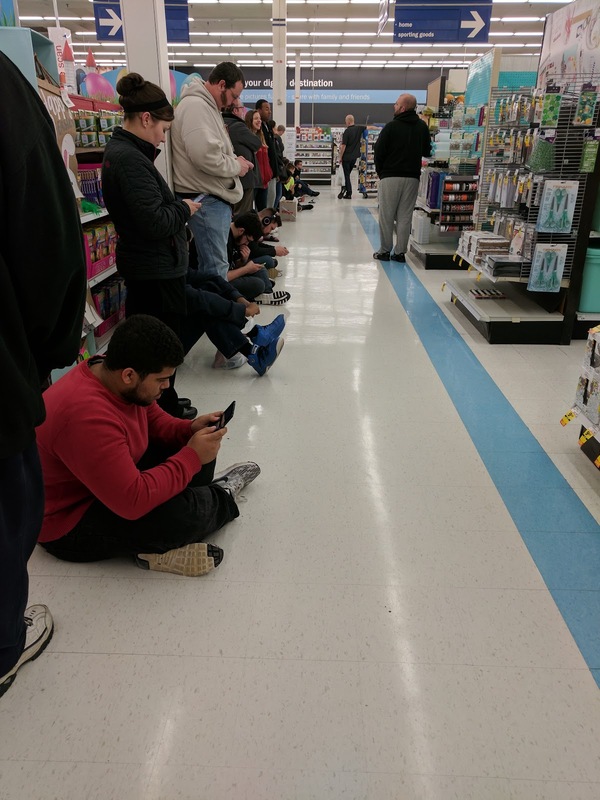 I had decided I'd probably just wait, but Chris pointed out I don't have to go to work Friday morning and Meijer is doing a midnight release. So I decided to try and snag one. I showed up about 10:15pm and there was already a healthy line of 20+ people. The store had 41 units, so I figured I was in a pretty safe position to get one. Hanging out, listening to podcasts and texting with Chris till midnight paid off. 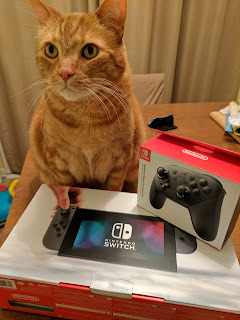 I snagged a switch and controller. Now to just wait for a game to arrive later on Friday from Amazon (hooray 20% prime game discount). Leki was very happy to finally have all of his people in the house so he could sleep properly.